The Fall Garden is both fun and fierce. There are many joyous events taking place as the end of a long growing season arrives, yet much fierce growth and work is still in process. For the next few weeks, I’ll be highlighting the fall garden form a fun and fierce perspective. 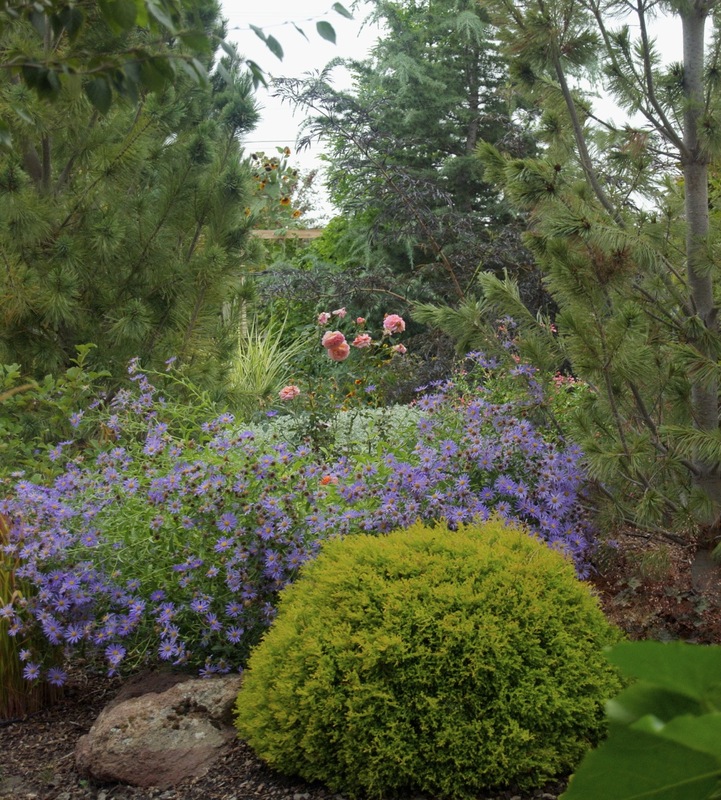 Join me to see if you can relate to my garden musings during this fabulous season. 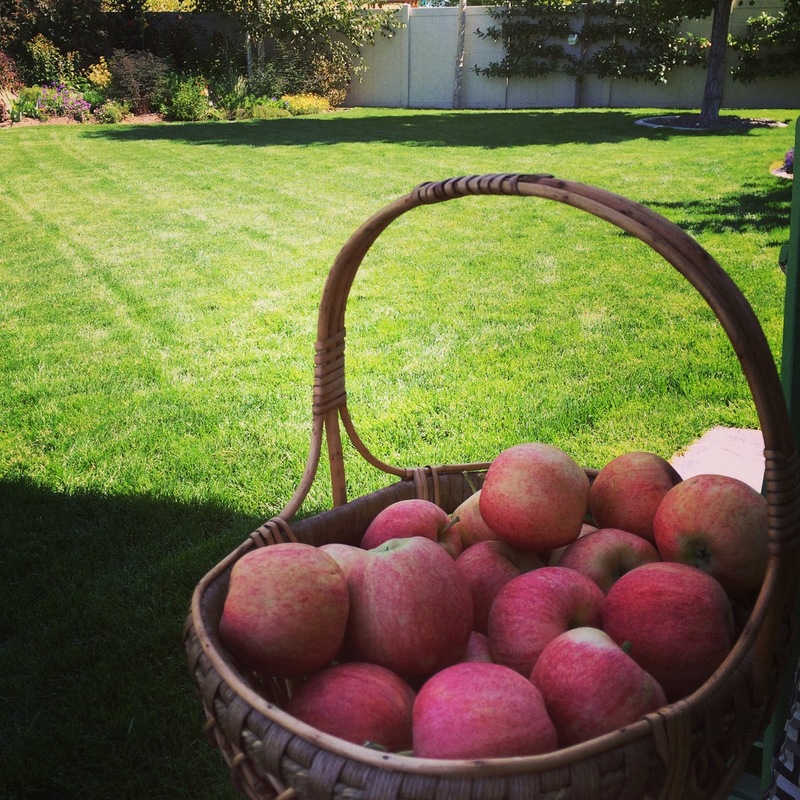 One of the more fun things happening now is the ripening and picking of apples. 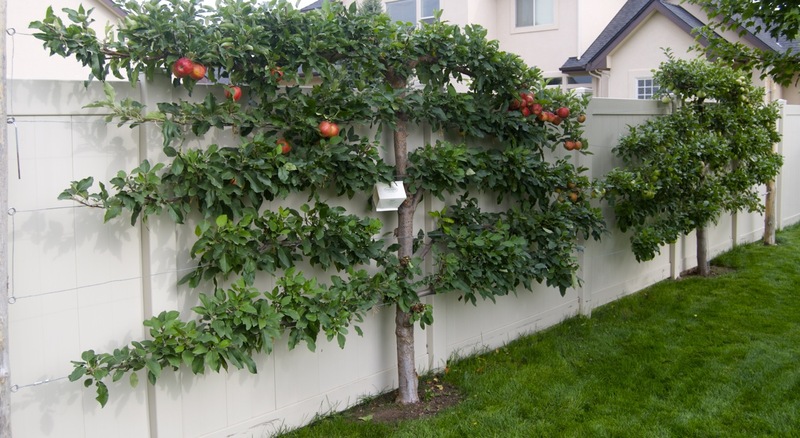 I have two apple trees (Gala and Fuji) and they have been grown in an espalier style for 4-5 years. This year has been a great year of production and loosely counting I will get about 170 apples from the two trees combined. Yipee! Because there have been years where I only get about 20 apples from the two trees! Actually, I am learning that it is pretty normal for apple trees to yield large harvests every other year. 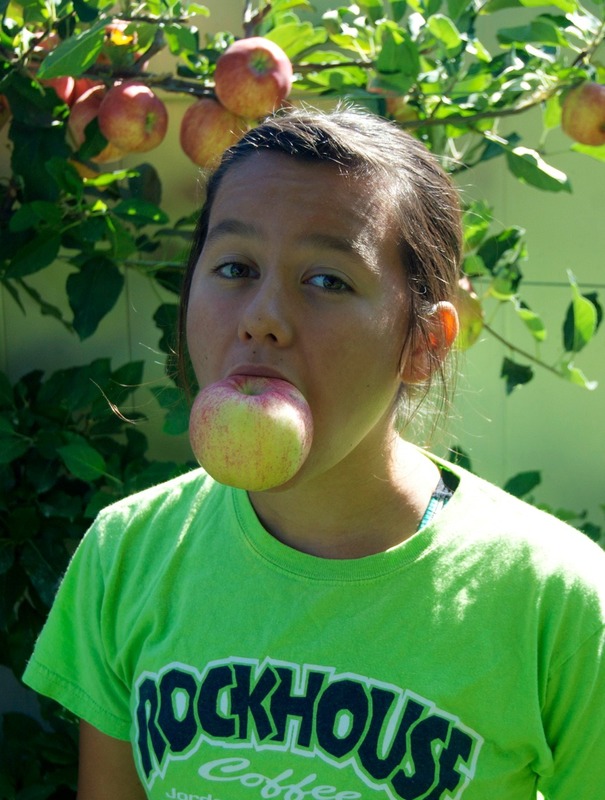 Do you experience this if you grow apples? I got my girls out to help do some picking one Sunday morning and they got a bit silly but it was fun! 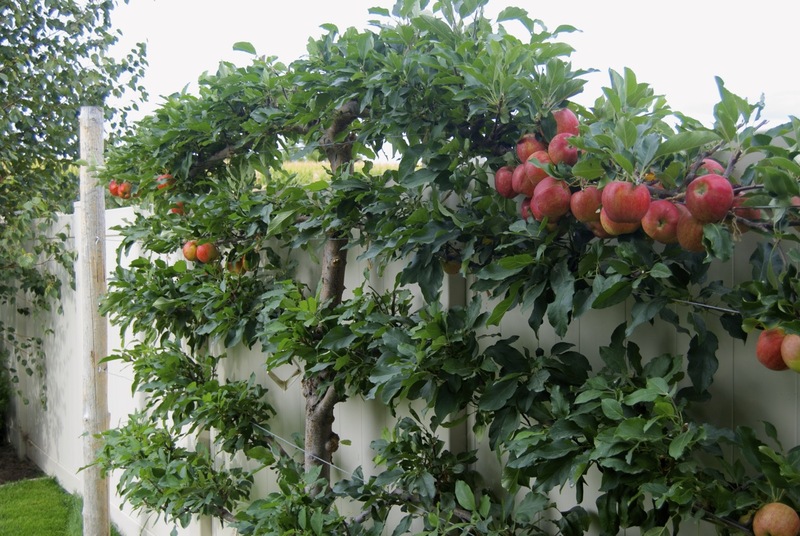 Notice they could easily reach everything…one of the big benefits to espaliering fruit trees. Easy access to all parts of the tree. If you are wondering what the little white things are hanging in the tree they are pheromone traps that can be used to monitor adult coddling moth activity. Once an adult coddling moth gets stuck in the trap, you know there is activity and can choose a method to prevent the coddling moths from attacking your apples, basically making them filled with worms. 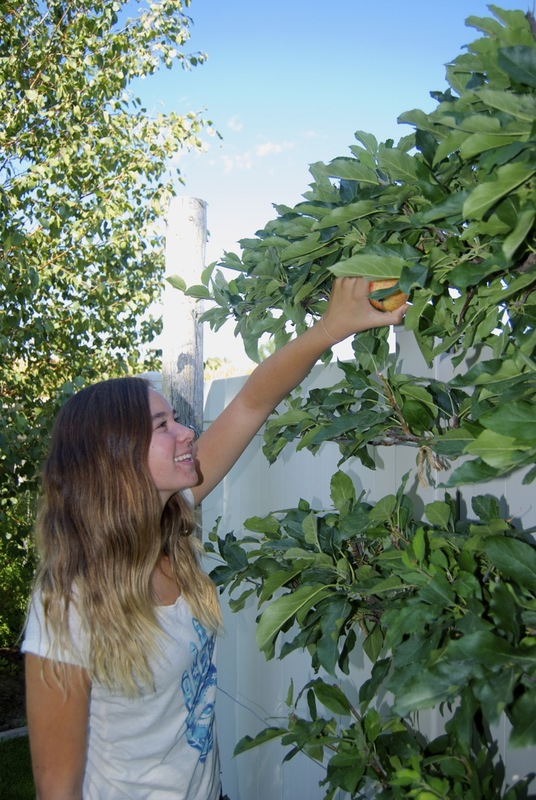 To learn more about apple codling moth and how to protect your apples (or pears) click here. Overall, I have found it pretty easy to use pheromone traps and then spray spinosad 2-3 times throughout the season (starting when fruits are at least a couple of inches in size) to effectively control coddling moth. Of course, using an insecticide is a serious decision for most home gardeners and I get it if you are opposed to this technique. To be fair, here is a link to more info about Spinosad as an approved, organic control method in agriculture as well as a link to organic control of codling moths. Now for a little fierceness…who is out there growing tomatoes and not in battle with them to save whatever is in their path from being swallowed completely?! This could even be your home if you have a tiny space! 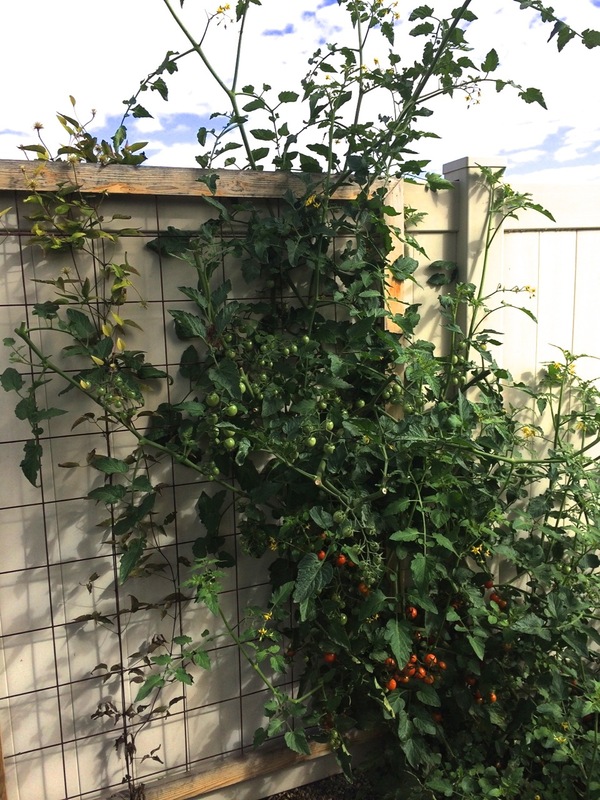 This self-seeded ‘Sungold’ tomato (or parent of a Sungold, since it is a hybrid) found it’s way over to my clematis trellis and has “trellised” itself! To this – In just a few weeks! 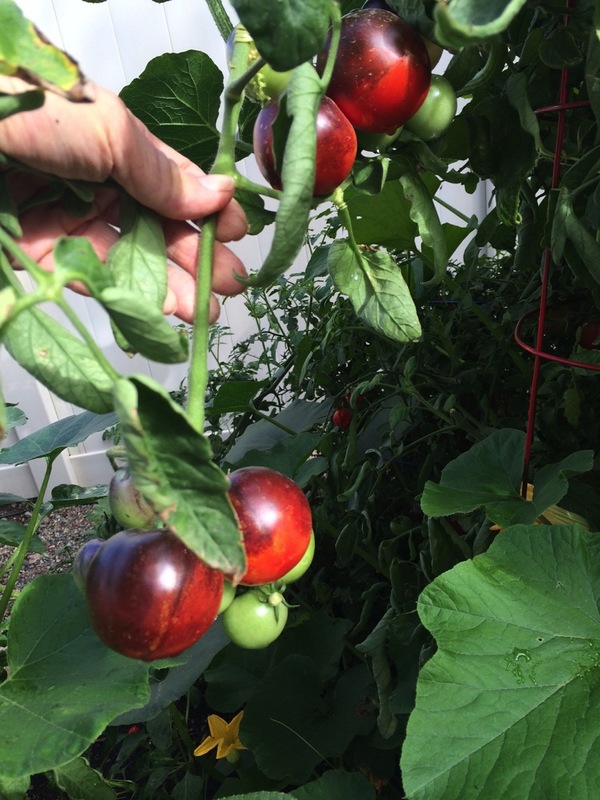 Yes, the tomato growth is fierce right now in my zone 6 garden. I go out every couple of days and cut back the most offensive new growth while harvesting a good-size bowl of tasty fruits. This year during ‘tomato overload time’ I’ve decided all I can do is feel lucky to have so many tasty ways to eat them! I am not stressing about getting them all picked and making batches and batches of spaghetti sauce. Instead, I am giving some to family and friends and using them nightly in dinner preparation via salads, pasta sauce and a few other tasty recipes. In a few more weeks as freezing temps get close, I may reach the level of spaghetti-sauce making or maybe I’ll just donate to the food bank instead. Hmmm…maybe both. 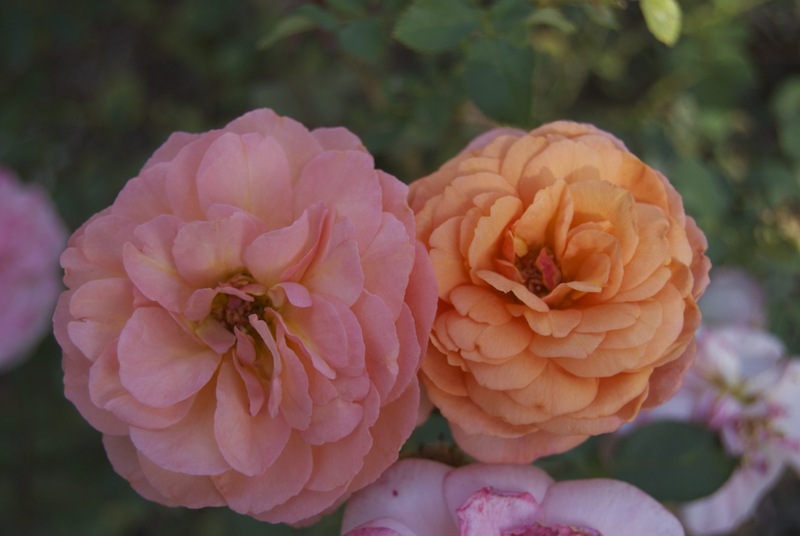 One more fun event in my fall garden is the heirloom roses (‘The Impressionist’ and ‘Louise Clements’, both from Heirloom Roses) are finally putting out glorious, long-lasting blooms. They have a hard time keeping any blooms on (they wither in a day) in the 90-100+ degree days of summer, but as soon as the heat wanes they bring forth some beautiful color that lasts! How about you? What is fun and fierce in your Fall garden? 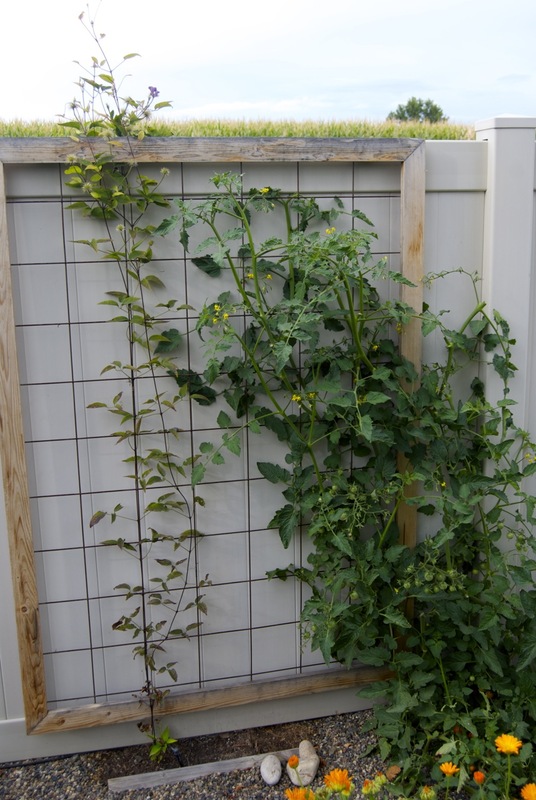 Thank you for the information on espalier – I have never seen this before and it really looks great. I have a perfectly lonely fence that I just might have to try this on. That is great! I have really enjoyed growing them this way. I really don’t like white vinyl fencing but we are stuck with it so the apple espalier helps hide it! Verbena B has taken over my fall garden but that’s ok since the monarchs are feasting on it. 🙂 My tomato developed some weird disease and died a while back. Your apples look great! What are you going to do with them all? Thanks for stopping by Y! hope you are doing well – have a great week. Amazing garden, I love how you have used space so efficiently. That last picture is lovely – roses and asters together. 🙂 Your tomatoes look really healthy – have fun with the rest of your harvest this month! Thank you Cathy! Yes I love purple and peach together. 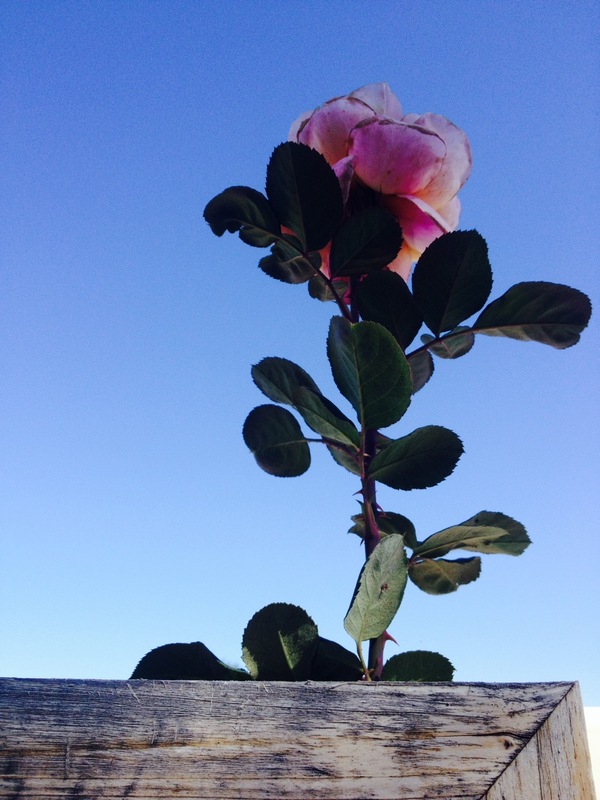 I hope one day my roses will be larger and more robust! That is aster ‘Frikarti Monch’ and it needs divided next spring as it is getting huge! Those apple trees are wonderful and extremely clever of you. I can see how your kids would love them. 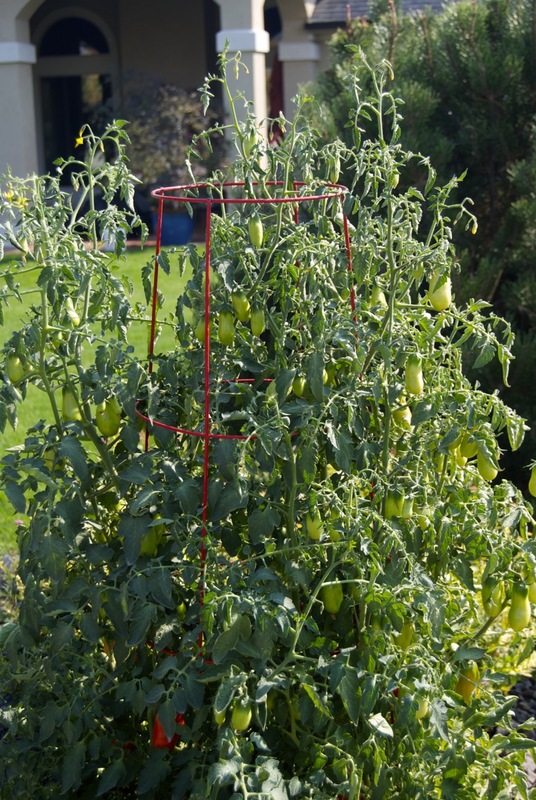 I don’t think I have ever seen a tomato climb a trellis like that before – mine always need assistance! 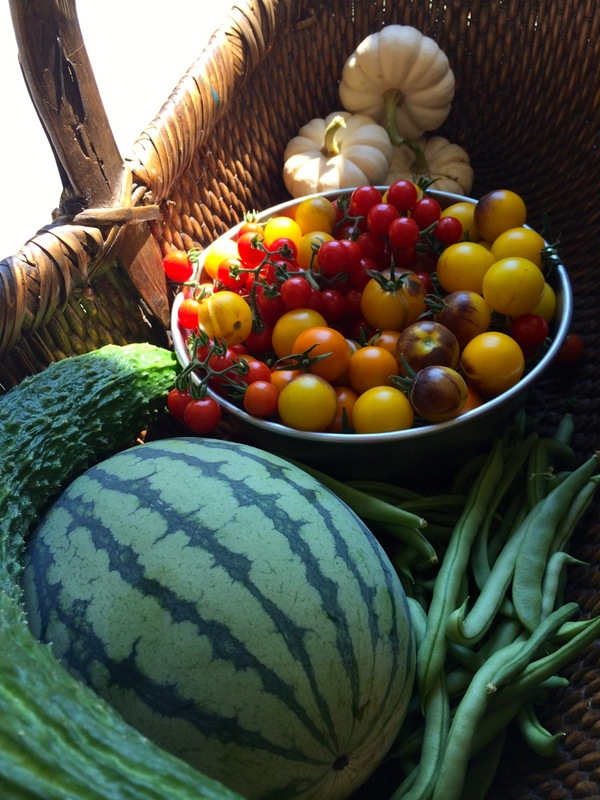 It looks like you are still in summer…I wish our garden would produce like this at this later date…love the apples! Very pretty! We’ve been enjoying our tomatoes. Right now we’re enjoying the last of our Heritage rose, some asters and mums, and color on our staghorn sumac. Not only do you have a beautiful garden but your photos of it are terrific. Sadly here in New Hampshire, our growing season is basically.